Help is a call away for residents of Michigan struggling with alcohol and other related substance abuse issues. These alcohol abuse hotlines connect callers to resources, information, and support required to achieve sobriety. Delphi Health Group offers free counseling and alcohol treatment services for callers in need of treatment and support for alcohol addiction. Services offered by the group are also covered by insurance. Call the alcohol hotline at (866)-520-2708 24 hours a day, seven days a week to get connected with professionals that will provide toll-free and highly confidential advice. Michigan 2-1-1 provides resources and information for people who need urgent help for alcohol addiction. This helpline also provides referrals to the acknowledged rehabilitation facilities and support groups throughout the state. The Michigan Department of Health and Human Services offers free information on alcohol abuse and treatment on 1-800-648-6942. The department also makes referrals for callers to approved-treatment programs. Alcohol hotlines to reach the department vary with the county. For callers living in the city of Detroit, call 800-241-4949 to get help. SAMHSA National Helpline 1-800-662-HELP (4357) offers callers information on and treatment referrals for alcohol addiction and other substance abuse disorders. The hotline operates on a 24-hour basis and is always free. 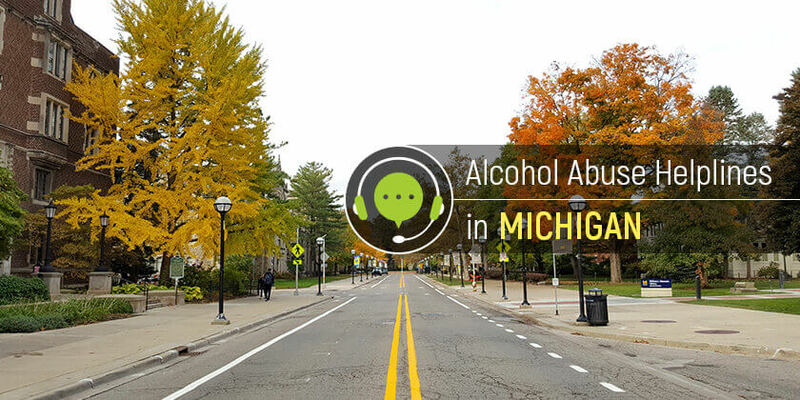 Michigan residents with alcohol addiction can start the journey to recovery by dialing any of these alcohol help hotlines.